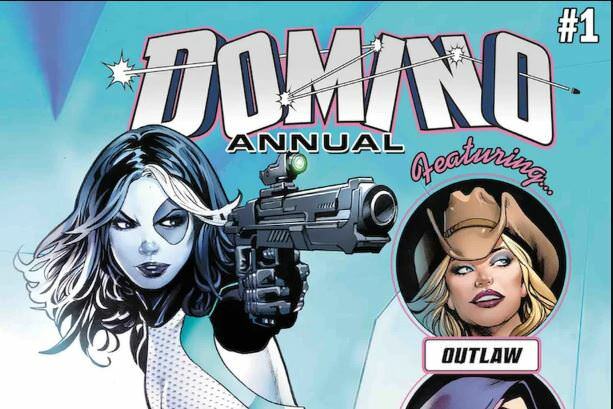 Domino Annual - Cable to make Appearance? 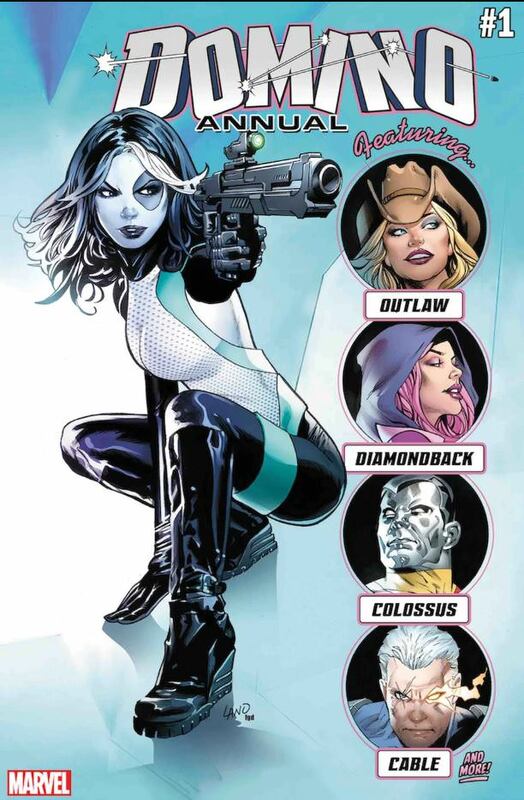 Domino's solo series has been a bright spot at Marvel selling pretty well and hitting high critical marks with the Gail Simone written stories. This cover by Greg Land also looks awesome. It seems like the series was just started to me so in a way its weird to be talking about an annual already. However, this is the comics business and things move fast. Because you demanded it! The runaway success of Domino’s solo series has had fans and retailers clamoring for more stories in her world, and readers have fallen in love Neena Thurman all over again! This September, Marvel has assembled an all-star team to chronicle her adventures! Acclaimed series writer Gail Simone is joined by a host of superstar creators, including Deadpool co-creator Fabian Nicieza, Dennis Hopeless (Cloak and Dagger, Spider-Woman) and Leah Williams (X-Men Gold Annual #1), to bring you new and exciting adventures featuring everyone’s favorite femme fatale – with art by Victor Ibanez (Jean Grey), Juan Gedeon (Secret Wars Battleworld: Ghost Racers), Natacha Bustos (Moon Girl and Devil Dinosaur), Leonard Kirk (Black Panther) and more! But that’s not all! Cable and Colossus, two of Domino’s most requested ex-flames make a return – but one reunion will prove to be bittersweet. Find out which this September, when DOMINO ANNUAL #1 hits comic shops!